This is a versatile, durable, economical, light weight closed cell rigid cellular plastic material produced in a range of densities between 12kg and 28kg/m3. The main applications of expandable polystyrene are for thermal insulation, void forms and blockouts, pipe insulation, protective packaging, flotation, buoyancy applications and stage sets. Our EPS foam is available in blocks, sheets, pipe sections and custom design shapes. 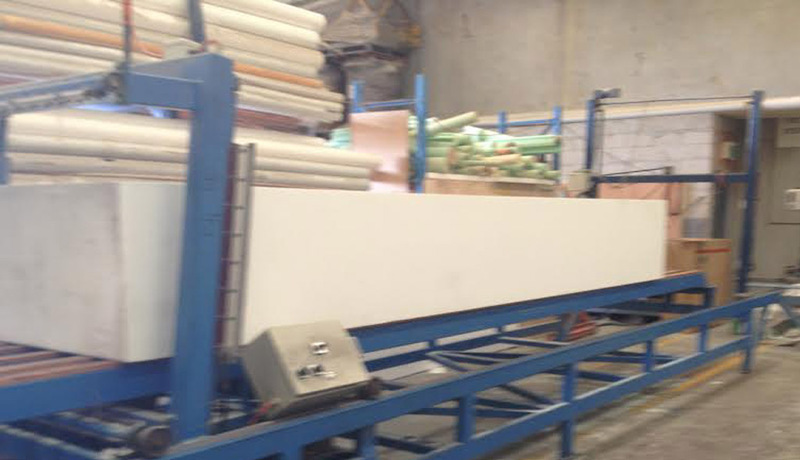 Standard sizes of expandable polystyrene foams are 2400 x 1200 which can be cut to any thickness. For questions regarding Expandable Polystyrene products and services, speak to Plastek today.